Co-Chairman of the EU-Azerbaijan Parliamentary Cooperation Committee Sayyad Karim made the remarks at the 15th session of the Committee in Baku. He noted that Azerbaijan has great potential to become a major transport hub between Europe and Asia. “Big projects between the EU and Azerbaijan are not limited to energy projects. Azerbaijan is very interesting to Europe as a partner in the field of transport and logistics. Azerbaijan has great potential to become a major transport hub between Europe and Asia, and the implementation of the Baku-Tbilisi-Kars (BTK) project has turned this potential into reality,” Karim said. On October 30, a solemn ceremony was held at the Baku International Sea Trade Port on the occasion of the opening of the BTK railway. Two routes from Kazakhstan to Turkish Mersin have already been sent via this route. The first train, consisting of 30 containers, on November 4, delivered 600 tons of wheat to the Turkish city of Mersin. The second freight train left Kazakhstan on November 27. The train has already reached Georgia. The BTK railway is constructed on the basis of the Azerbaijan-Georgia-Turkey intergovernmental agreement. The main purpose of the project is to improve economic relations between the three countries and attract foreign direct investment by connecting Europe and Asia. 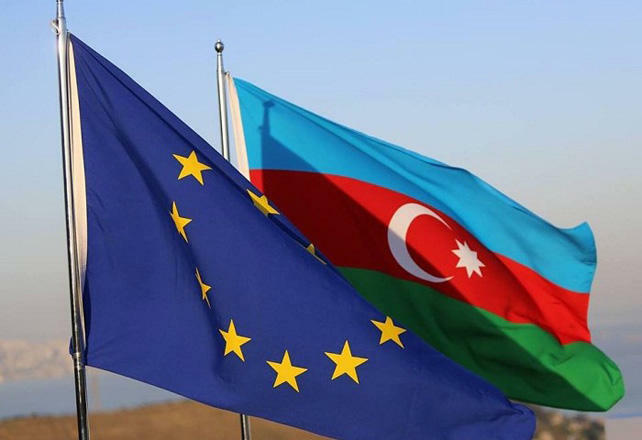 In turn, deputy speaker of the Azerbaijani Parliament, chairman of the Parliamentary Committee for Natural Resources, Energy and Ecology, Valeh Alasgarov, said that Azerbaijan is interested in attracting technologies of developed European countries to develop its own economy. He said natural resources are not enough to ensure the successful development of the country’s economy. “First of all, the issue of legislation arises here. Azerbaijan was able to attract investments worth tens of billions of dollars to the oil and gas industry. The contracts signed between SOCAR and foreign companies were adopted by the Parliament at the level of laws,” he said. The MP stressed that Azerbaijan had no opportunity to supply its oil and gas to the foreign markets at a time when the “Contract of the Century” was signed. A contract for development of ACG block of oil and gas fields for 30 years was signed in 1994. “Following the signing of several contracts, there were constructed the Baku-Supsa, Baku-Tbilisi-Ceyhan and Baku-Tbilisi-Erzurum pipelines. Today, we are implementing new projects - the Southern Gas Corridor, the free economic zone in the Alat. And the legislations stands on the basis of these issues,” Alasgarov noted.